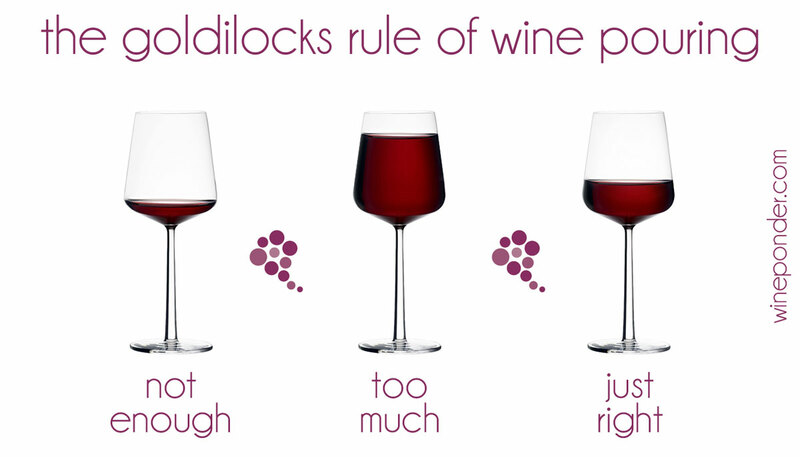 Why is it that you only pour a relatively small amount of wine into a wine glass? Why don’t you fill the glass like you would any other drink? And how does the size and shape of the glass really impact what you taste? Just how much wine do you pour into a glass? 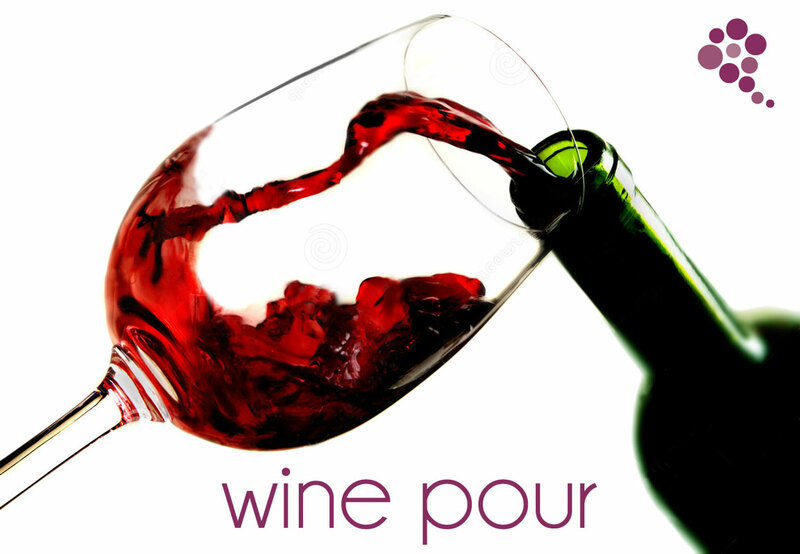 – Let’s find out with these wine pouring instructions. Well, for starters… a standard serving of wine is five ounces according to the US National Institute on Alcohol Abuse and Alcoholism. I always believed a standard pour was six ounces – because there is approximately 24 ounces in a bottle and you normally get four glasses. But the US NIAA&A is responsible for setting up standards, so they must be right. And the DMV and all of their research uses five ounce pours as the standard glass of wine. Part of the experience of enjoying a glass of wine is that you get to swirl it around, put your nose into the glass, and breathe in. As mentioned in a previous Wine Facts, “Bouquet” refers to smells from winemaking, such as yeast and oak barrels. “Aroma” means smells from the grapes. You want to be able to “activate” the wine and get it emit these smells into the glass so you can appreciate that part of the experience before you take your first taste. And before your second taste. And so on. So there needs to be enough room in the glass to swirl and not spill it. The shape of the glass can be important. The Wine Ponderer wrote about The Right Glass for the Right Wine. I personally like burgundy-style glasses. Those are the more round, bulbous-shaped glasses – and are meant mostly for Pinot Noir. The Bordeaux-style glasses are meant for the Bordeaux varietals – Cabernet Sauvignon and Merlot. And of course Champagne flutes are meant for sparkling wine. These various shaped glasses are used to bring out the specific characteristics of the different wines. Can the average person really tell the difference between all of these options? Maybe… or maybe not. But it can be fun to experiment if you have the various wine glasses. “If you want to pour and drink less wine, stick to the narrow wine glasses and only pour if your glass is on the table or counter and not in your hand — in either case you’ll pour about 9 to 12 percent less,” study co-author Brian Wansink, director of the Food and Brand Lab at Cornell, said in a release. My question to Brian is – why would I want to do that? Learn more about the intricacies and the importance of the different shapes of wine glasses – The Right Glass for the Right Wine and the Optimal Wine Serving Temperature based on the varietal.